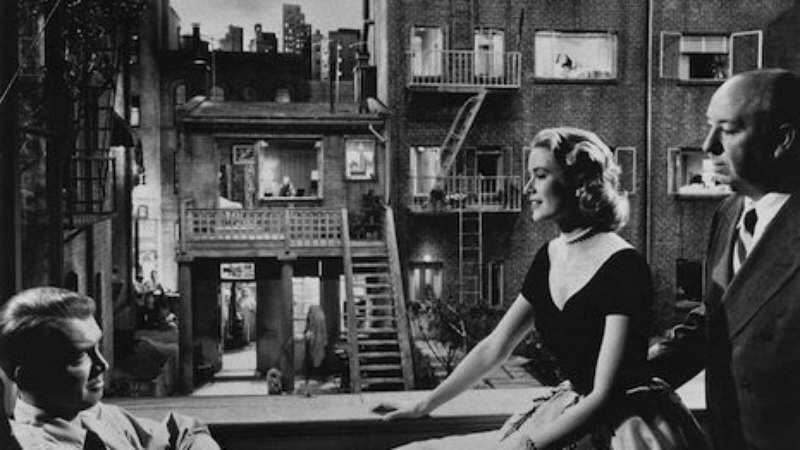 There’s not much to be said about Alfred Hitchcock’s Rear Window that hasn’t already been said. It’s been praised as one of Hitchcock’s finest films, and established as an insightful commentary on the act of filmmaking itself. The film is a captivating, subversive whodunit that explores themes of voyeurism, identity, and perception. Dangerous Minds has added another layer to the voyeurism by publishing a series of behind-the-scenes photos. The collection provides a fascinating look at the set and provides a few shots of Hitchcock directing Jimmy Stewart and Grace Kelly. The photos are not only a peak behind Hitchcock’s curtain and a chance to see one of the more memorable film sets; they’re also a wonderful historical document, a look back at filmmaking well before CGI or any significant advancement in special effects had become part of the industry. Check out a few of the photos below and head on over to Dangerous Minds to see the whole set.